When looking for ink pads, you may need something a little stronger than the average ink. Perfect for marking on glossy surfaces, CD's, metal, plastic, photographs, food packaging, and other surfaces, Artline® Hi-Seal Quick Dry stamp pads are designed for a range of applications standard ink just can’t handle. Artline is one of the most trusted names in the industry. They create exceptional products of high standards for long-lasting stamping solutions you can count on. 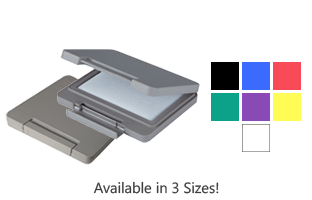 We are honored to offer an array of Artline® Hi-Seal Quick Dry stamp pads to meet your stamping needs for glossy surfaces. Made with a fine textured cotton surface for clean and crisp stamping, these Artline® Hi-Seal Quick Dry stamp pads are designed to offer an even application of color with every use. 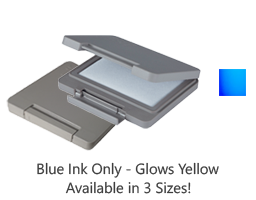 The air tight roller lock system ensures the ink remains moist and ready to use when needed. Aside from the quality of the construction of the case and pad, the ink is also some of the best in the business. Choose from several different types of Artline ink to find the stamp pad that is best for your intended applications. 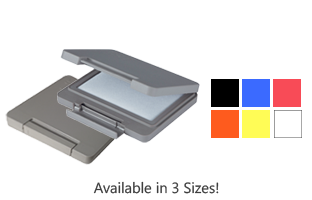 We offer ink pads from this respected brand that are USDA approved as safe for food packages and waterproof to avoid any issues. We also have invisible ink for skin that dries in seconds and is visible by UV black light. Need ink that dries in ten seconds and is resistant to mild solvents for industrial applications? We have it! We even offer options that are highly resistant to even strong solvents for an impression that will last. These Artline® Hi-Seal Quick Dry stamp pads can only be refilled with Artline® Hi-seal ink. 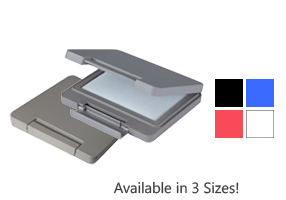 Add one of these powerful stamp pads to your stamping routine today! At Rubber Stamp Champ, we are glad to be your source for all your stamps and stamping accessories. We offer high-quality products from the leading brands in the world. We would be happy to answer any questions you may have while shopping with us!